Established in 1967, we are a privately owned and run precision engineering company based in central England, in Aylesbury, Buckinghamshire. We consider ourselves to be one of the leaders in precision machining for a wide variety of industry sectors including Aerospace & Defence, Medical, Electronic, Analytical, Scientific and Motor Industries to name but a few. 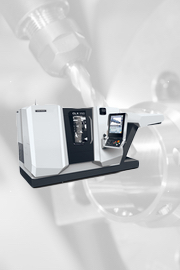 Our reputation is based on our ability to continually provide high quality CNC machined components. This has made us the first choice for many companies requiring finished parts ready for assembly without the need for inspection. Our quality control systems operate in strict compliance with ISO9001 and Aerospace Standard AS9100, to provide our customers with total quality assurance.